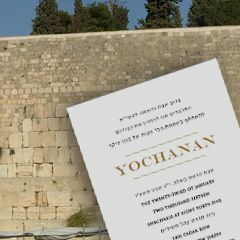 The Shaar Blatt Ketubbah's text is set in a reproduction of the ornate seventeenth-century title page of the Vilna Talmud. 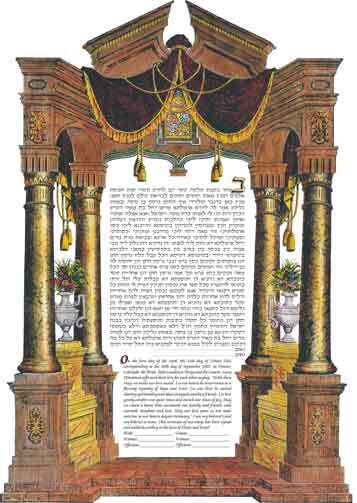 Cycles of life are depicted in this ketubah. Fruits and flowers represent the commandment, "Be fruitful and multiply." Your family initial (optional) may be superimposed on the background. Ketubah Size: 13.75" x 21"